Discussion in 'other software & services' started by guest, Jun 20, 2012. Earlier this year, we reported on Mozilla’s effort to unify the look of its Web browser across platforms and device form factors. The organization combined its desktop and mobile design teams and began working on a new theme called Australis that promises to bring a fresh and consistent style to Mozilla’s browser lineup. Each individual port of Firefox will still conform with the appearance of the underlying platform, but there will be a number of shared design elements that are present across all platforms. One of those shared design elements is a gentle curve, which will appear in the navigation bar on mobile versions and in the tab bar on the desktop. As the Australis mockups have long depicted, the new theme will bring some significant changes to the style of the tab bar. The active tab will be displayed with curved edges and a background that converges with the navigation bar. 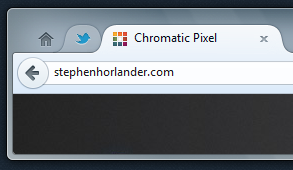 The inactive background tabs will be rendered without a background, as if overlaid on the titlebar of the window. It's a good job that have quite different desktop icons, otherwise, pretty soon you won't know which one you've opened. I don't know why they don't just combine the two (Maxthon-style) & have Firechrome or Chromefox. In which version would this be implemented? There's a theme addon from 2011 called Australis (https://addons.mozilla.org/en-US/firefox/addon/australis/). I can't run it. firefox.exe process loads, but there's no GUI. But, if I run it inside of Sandboxie, then it opens. Is anyone able to run it, normally? I installed it, with no other configuration, but it doesn't open. It's running now. It's a conflict with WSA. I installed it, sure hope it not what they will be coming up with. Those screenshots posted by guest look at lot nicer. Back to default theme now. Actually, Firefox Australis has a cleaner design than Chrome's. I like it a lot. 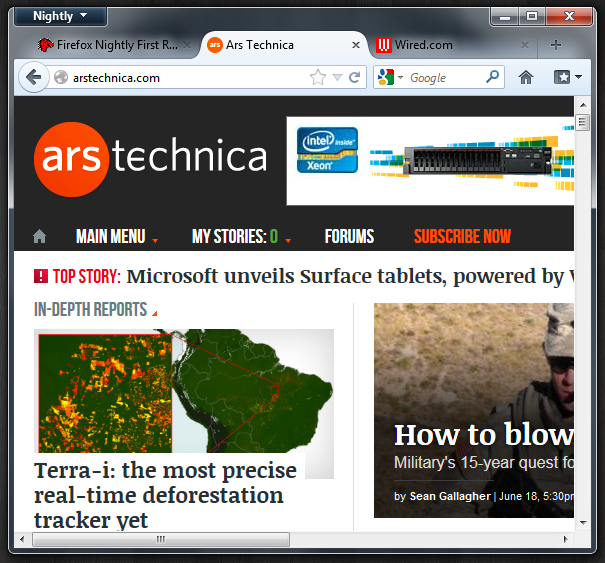 The Australis design actually made me try Firefox after a few years of absence. By the way, does anyone know whether or not Australis made it to the regular nightly builds? I'm on low speed connection, so it would be quite problematic to download it now. Well...if they're looking into redesigning tabs, I wonder if they might look into allowing tabs to be placed on the side of the browser. I've been using add-ons for a long time to get that feature. Really wish it was just built-in. Wow, that's weird. It is no longer up for me either, but I swear it was up when I posted! L815, is this what you are looking for? I searched for it in Themes, and it said that it won't work in FF V13.